Raiders coach Hue Jackson doesn’t seem too concerned that his team could be without two starters in its secondary for Sunday’s game against Tom Brady and the Patriots. Since taking over for Tom Cable, Jackson hasn’t let his players make excuses and he’s not about to start doing it himself. That faith will be tested if free safety Michael Huff can’t play. Huff suffered a concussion in last week’s win over the New York Jets and was listed as questionable on the team’s injury report Friday. 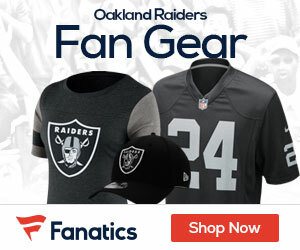 With cornerback Chris Johnson already out because of a hamstring injury, the Raiders will have to turn to their bench for help in trying to slow down the NFL’s top-ranked offense led by the AFC’s best quarterback in Brady. Johnson injured his hamstring early in last week’s 34-24 win against New York and hasn’t practiced this week. Backups Joe Porter and Chimdi Chekwa took turns replacing Johnson against the Jets until defensive coordinator Chuck Bresnahan opted to stay with Chekwa, a fourth-round draft pick this year. Jackson declined Friday to say who would start at right cornerback in place of Johnson. The loss of Huff might be more significant. New England’s most productive receiver through three games has been Wes Welker, who lines up in the slot, while tight end Rob Gronkowski has a team-leading five touchdown receptions. Huff would likely match up against one of the two if he’s able to play. He was limited Wednesday, backed off a bit on Thursday then was held out of all drills entirely on Friday. Jackson indicated that Huff has passed the requisite tests players must go through after suffering concussions, though he was unclear on whether Huff had suffered a setback or not.